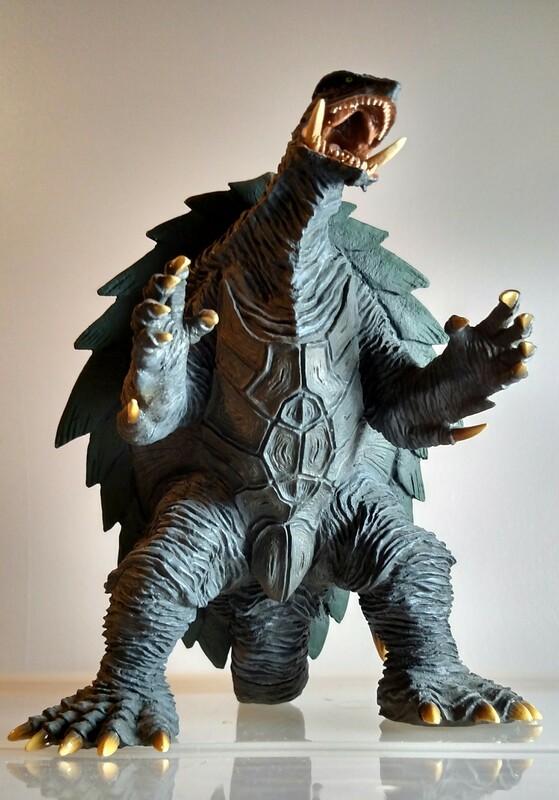 I figure i'll take Hobby Japan's definition of Heisei from their tremendous Gamera Heisei Perfection book, and include GtB on account of so few figures being created for him. 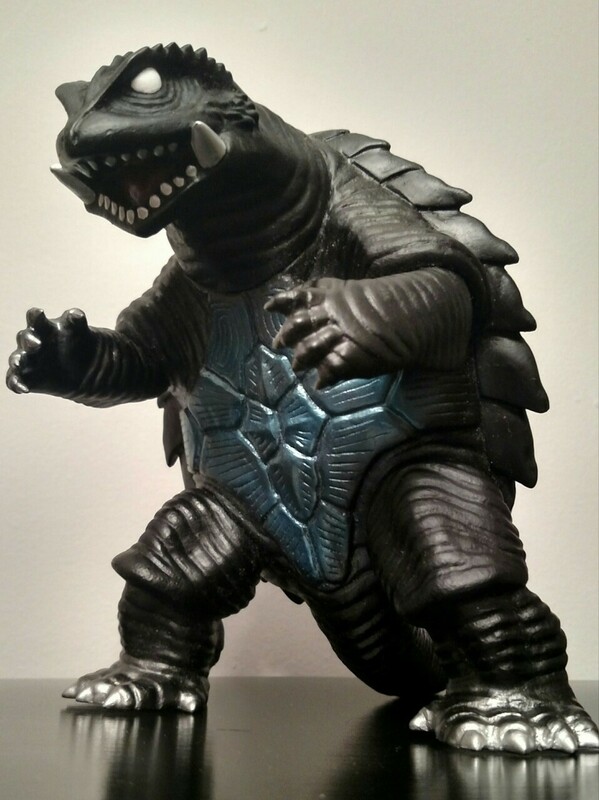 As vast as my Godzilla collection is, it is severely lacking in Gamera figures (something that I've always put off getting around to). 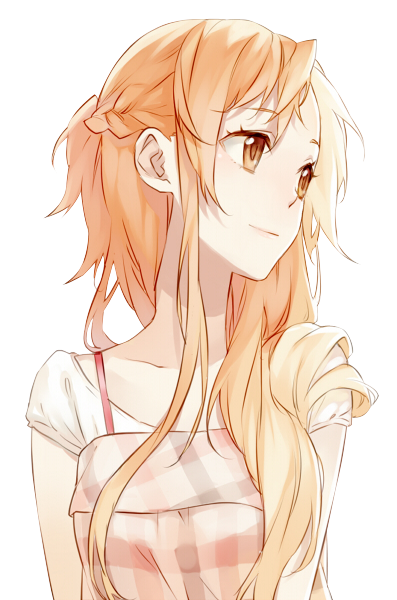 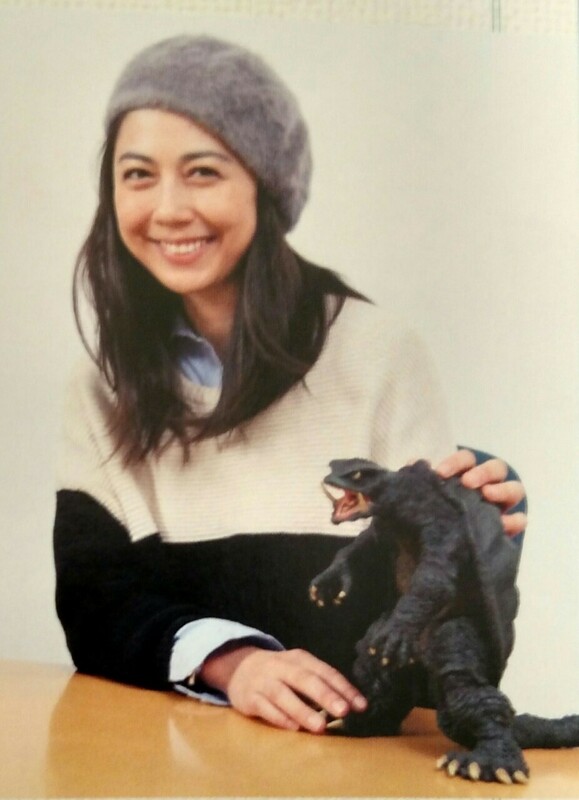 Couldn't let this thread go without the obligatory SHMA post. 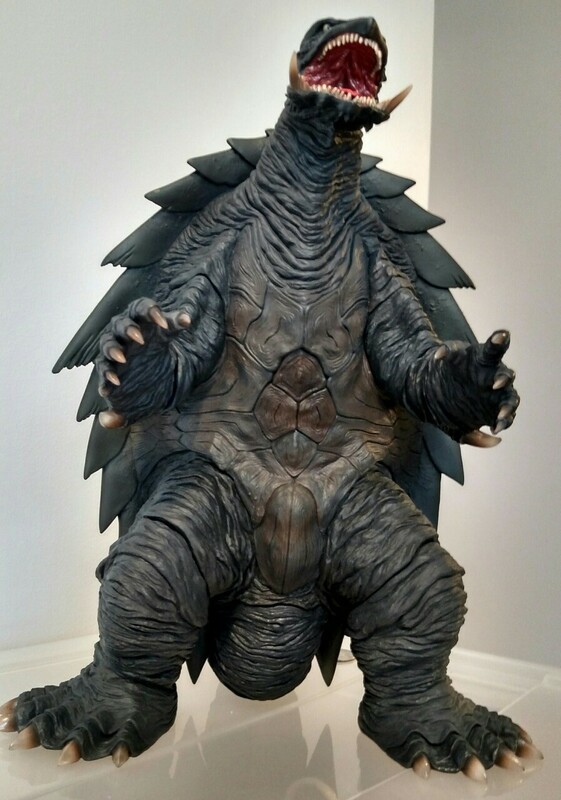 UltramanGoji wrote: Couldn't let this thread go without the obligatory SHMA post. 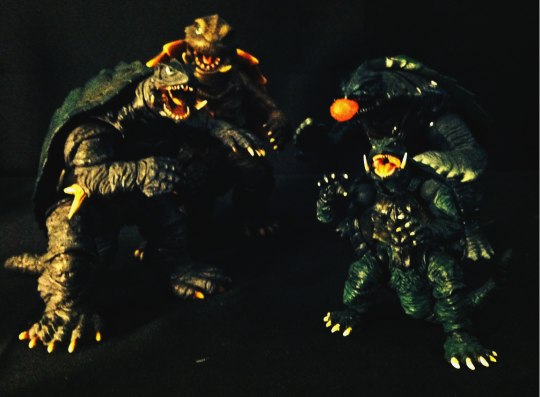 Just realized I have a toy of every representation of Heisei Gamera. 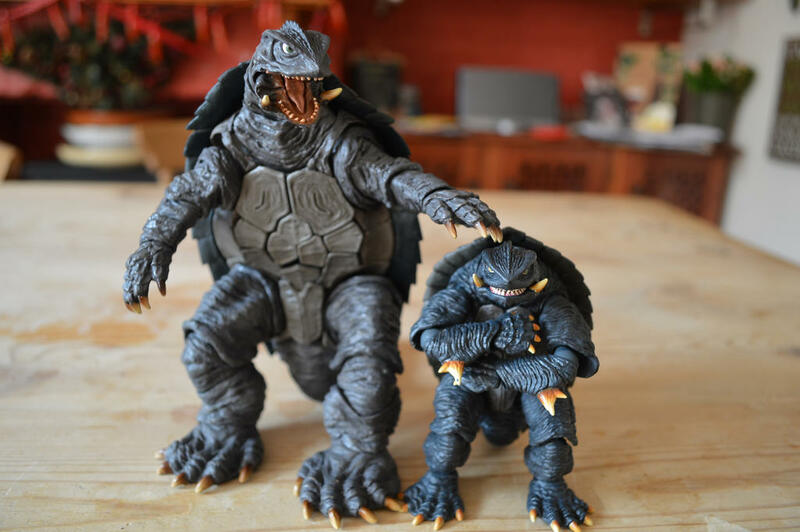 This is all the Gamera I have at the moment. 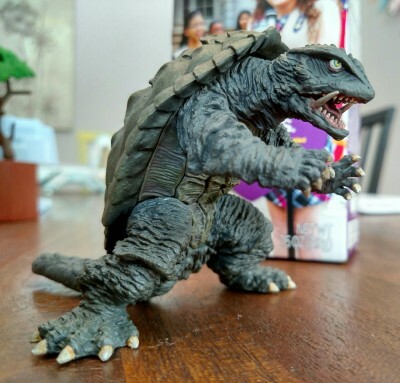 Love how grumpy the Revoltech looks . 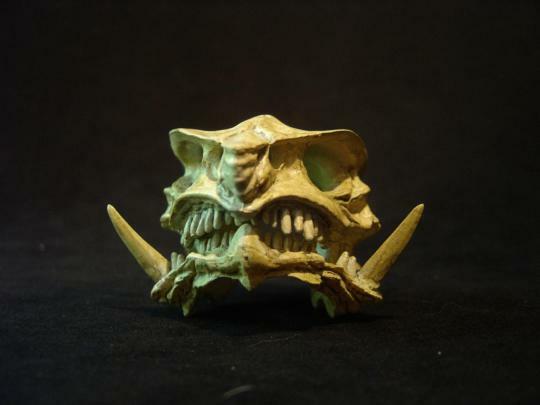 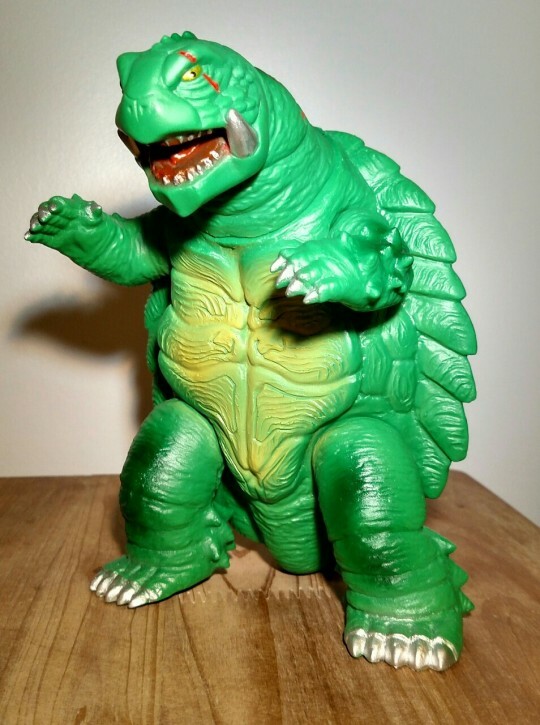 It's a bit early, but any takers for Monster Toy Spotlight #15? 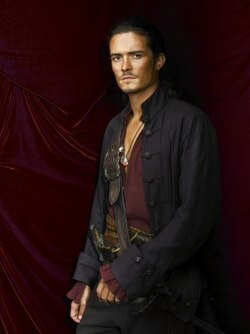 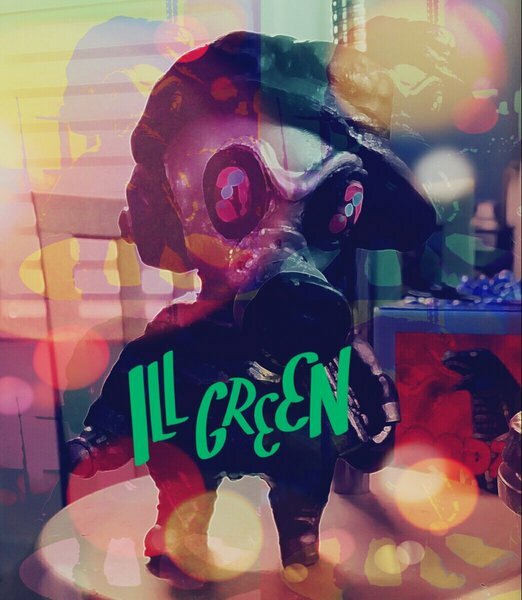 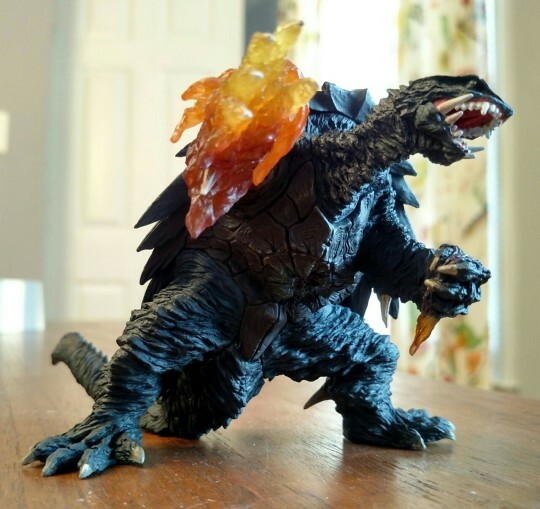 later this weekend? 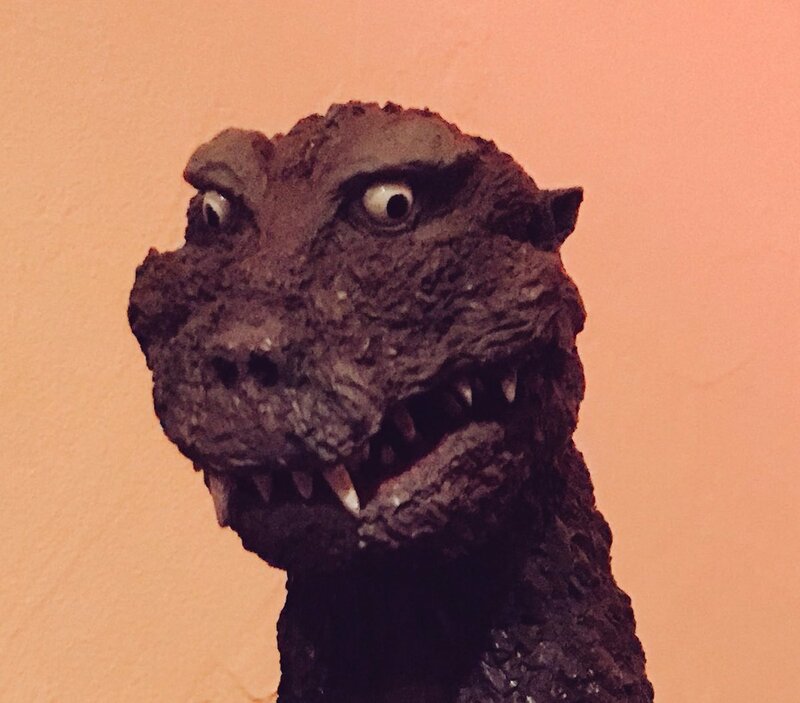 A list of contributors to past threads who haven't had a chance to do one yet: Kaiju no Mura, Mr. X, Leunames, Heartless. 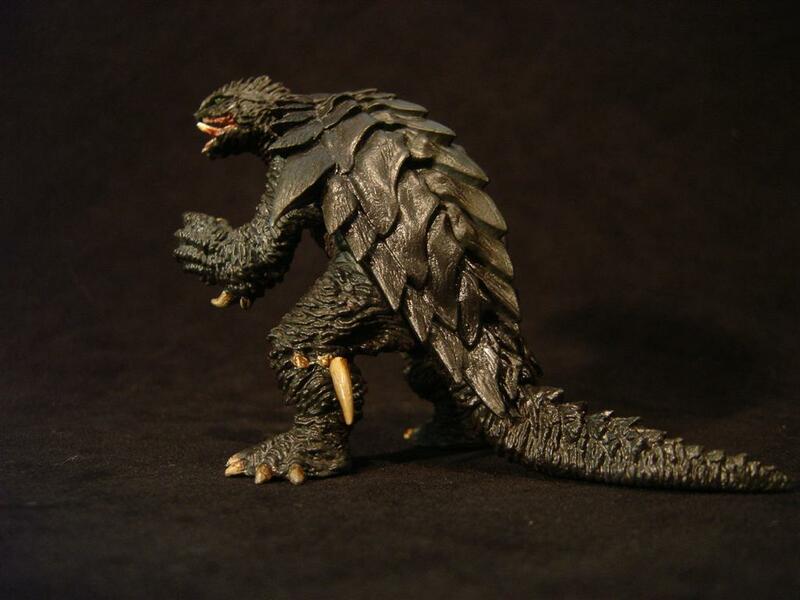 ArchdukeSquidlyIII, RandomDeinonychus, Manticore, UltramanGoji, Starsteam, Captain Aktion, SJM925, Kaijunator, Tyrant_Lizard_King, LamangoKaijura, GodzillaXGomoraFight, DoctorMafune . 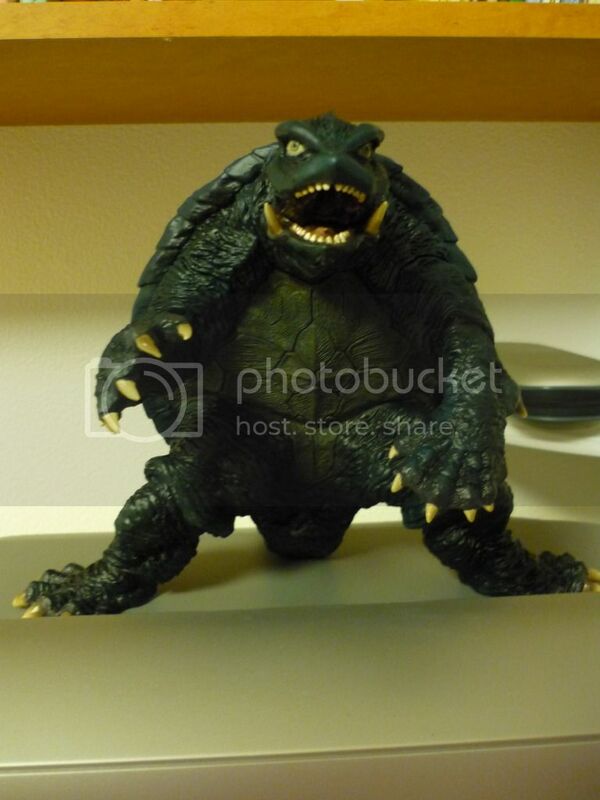 Or if Klen7 has someone different in mind he would like to nominate for Spotlight #13, then cool. 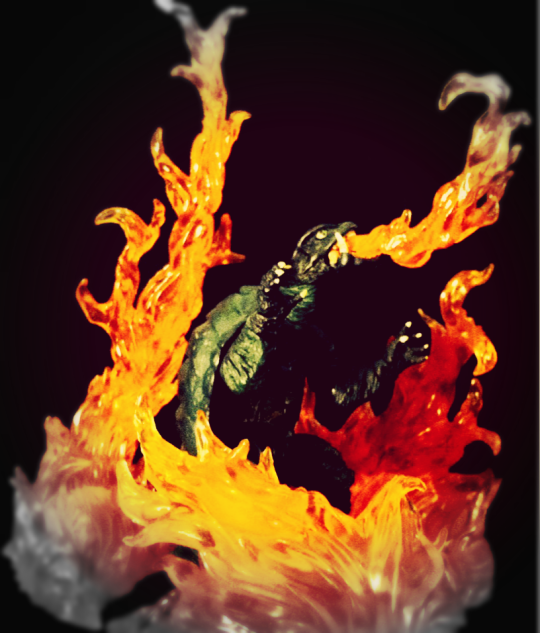 I've got an idea for a spotlight, I'll take the reins if no one else wants to. 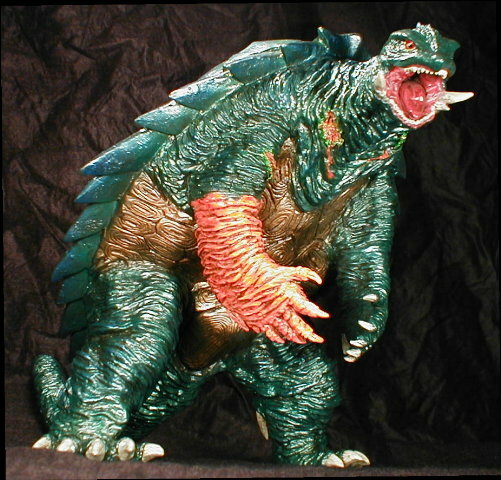 And the winner is UltramanGoji Monster Toy Spotlight #15 is yours...feel free to post it anytime. I really wish X-Plus would get some more 25cm Gameras out. 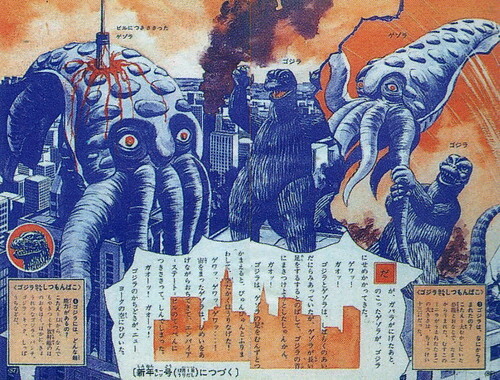 Jiger would finish off the Showa era, and anything from beyond that would be very welcome in my book.. 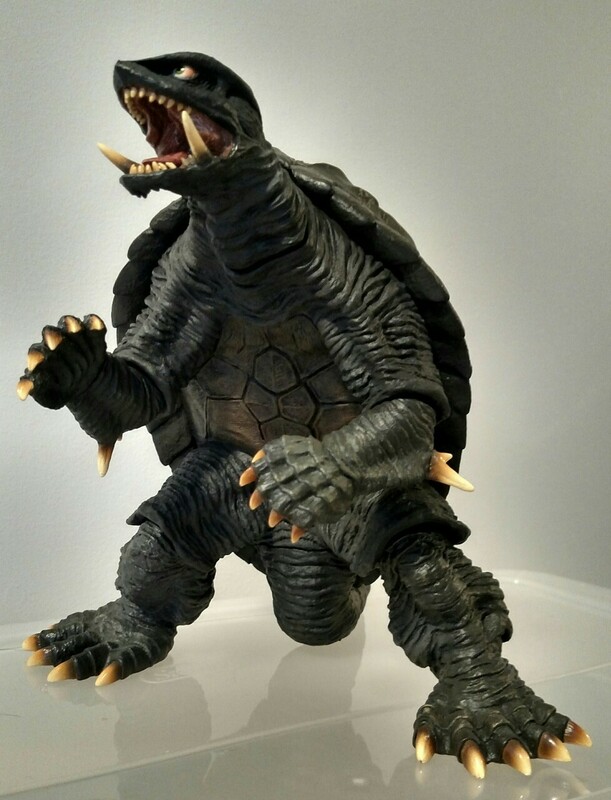 Though i do love the 30cm Gamera 95, i skipped the other 30cm releases and now even in Japan they go for a pretty penny. 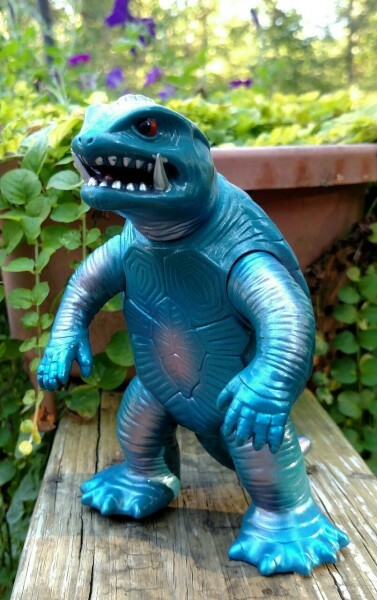 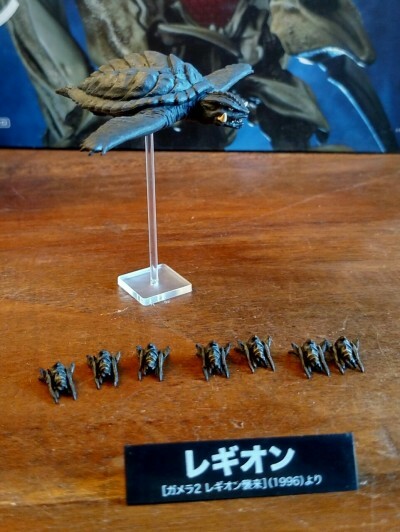 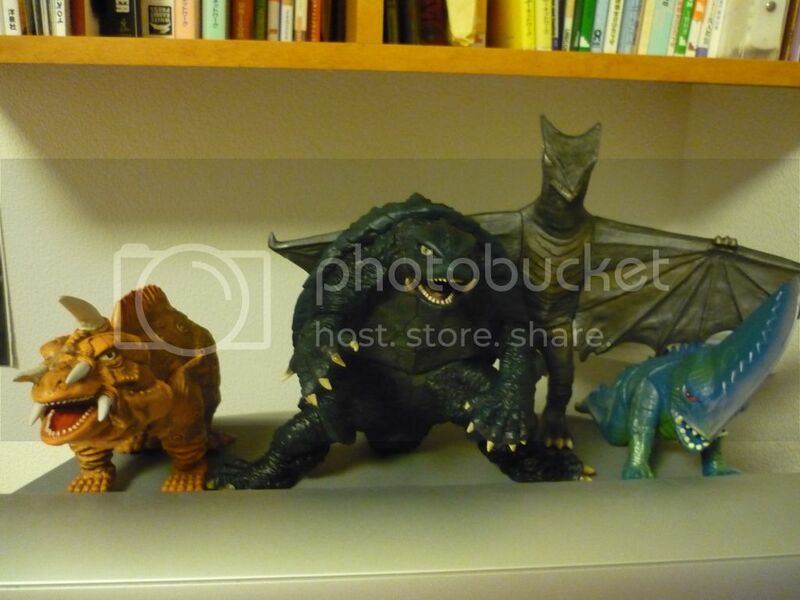 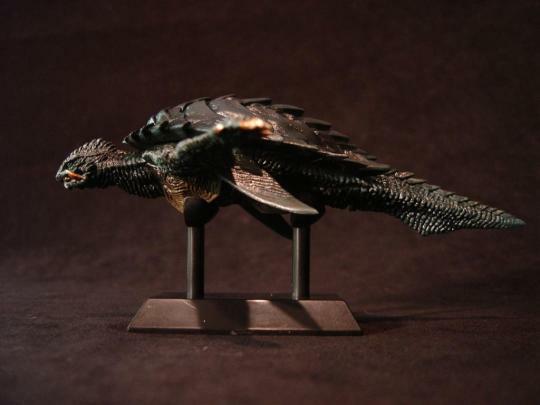 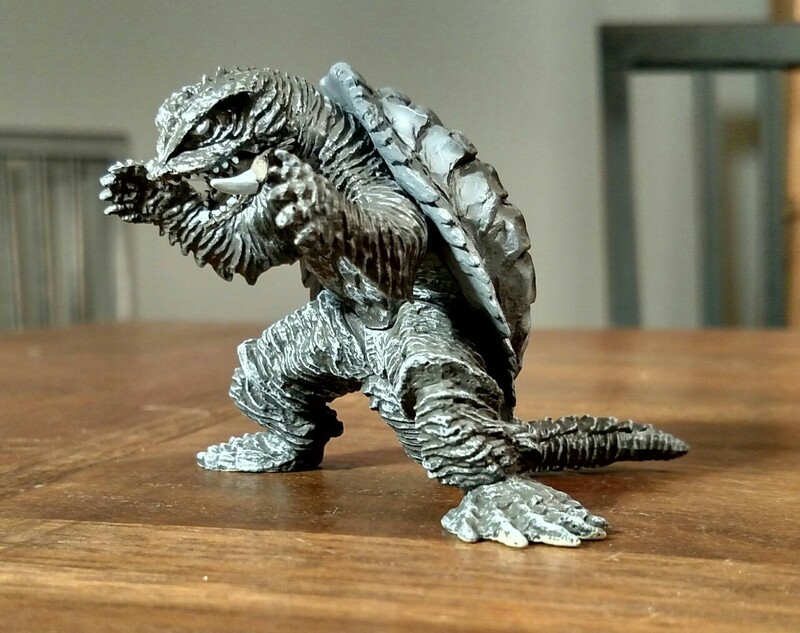 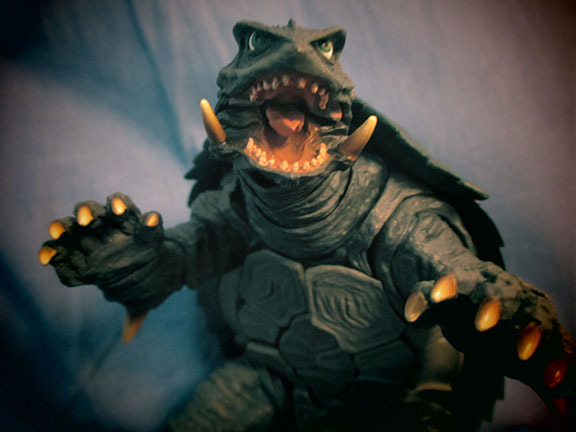 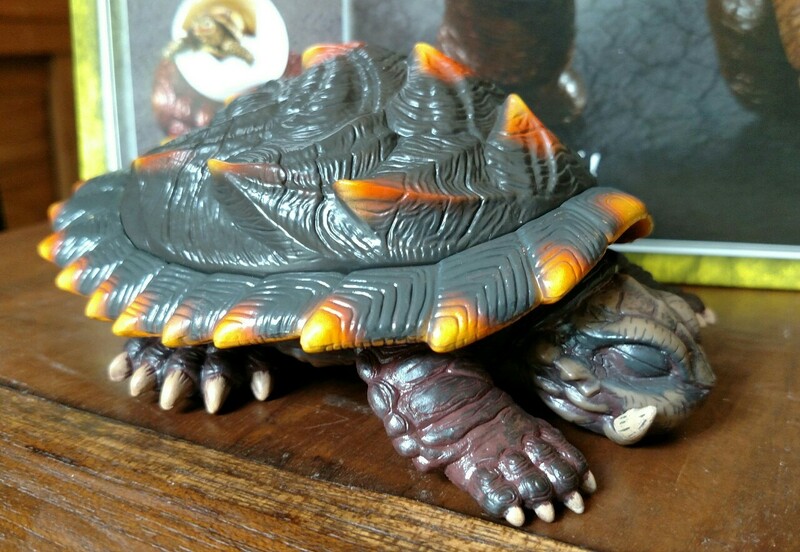 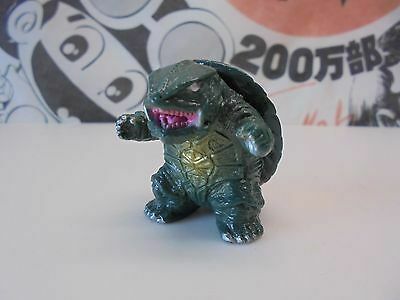 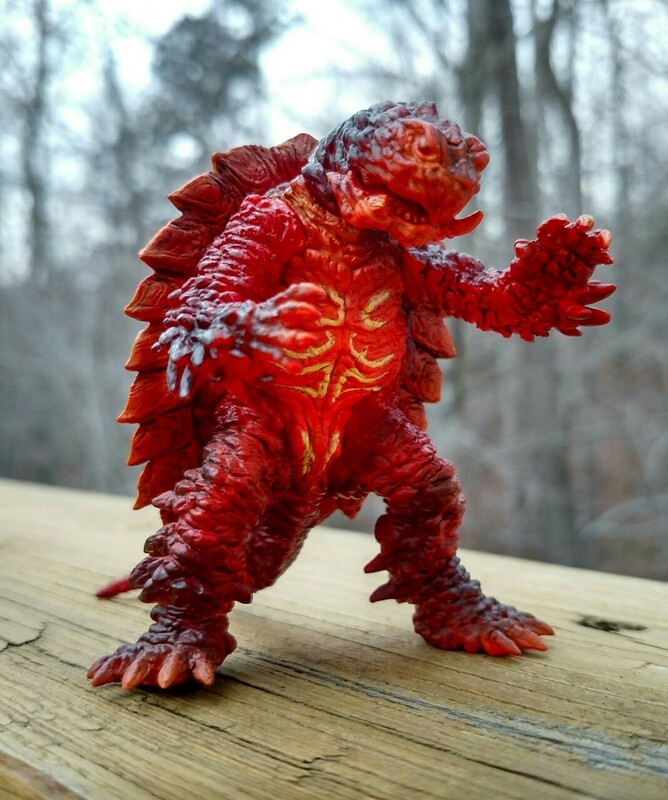 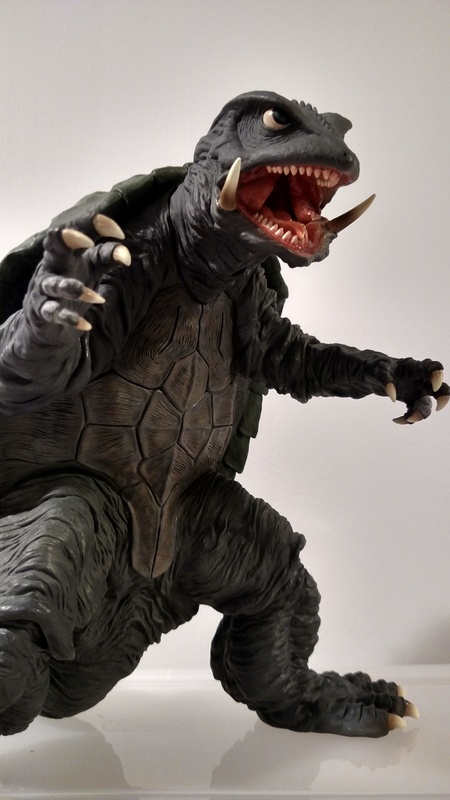 The only Gamera in my collection, and it was coindicentally missing in this thread. 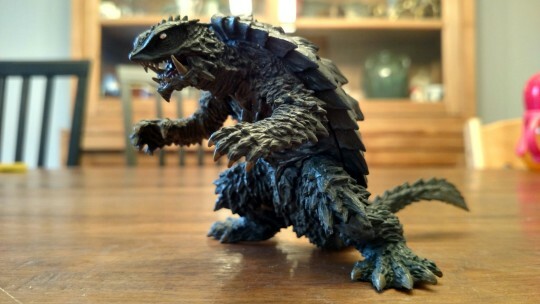 Crappy photo quality, but an awesome figure, huge and detailed. 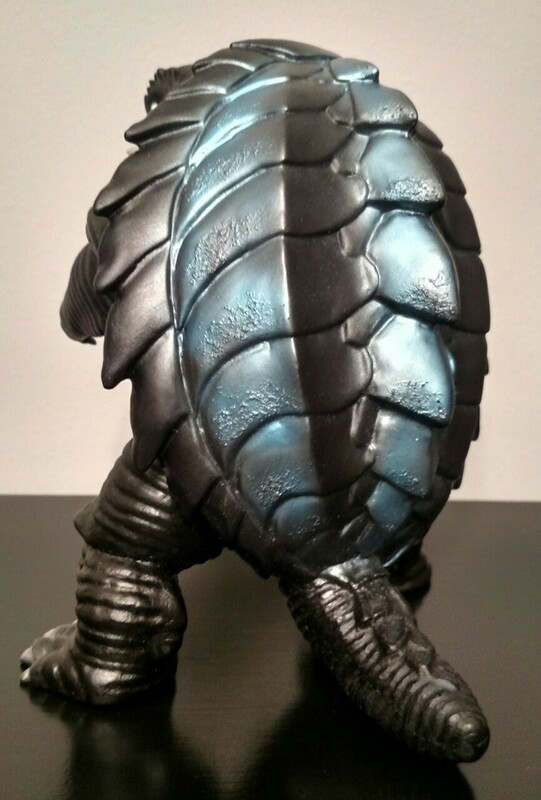 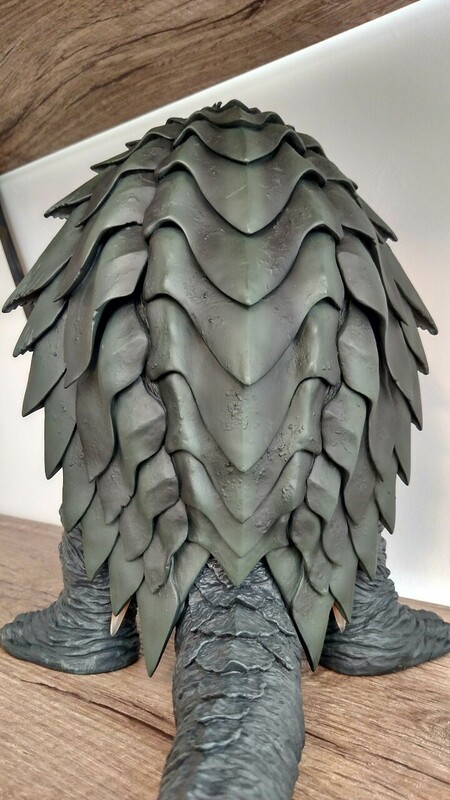 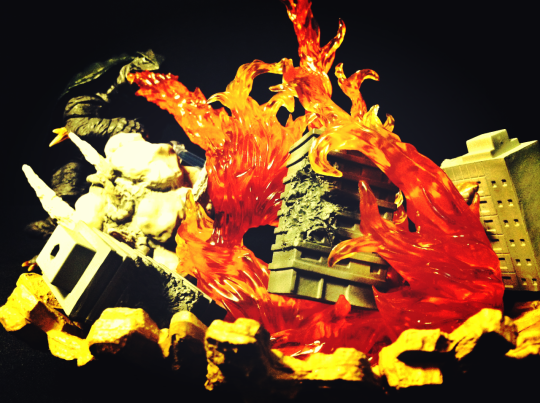 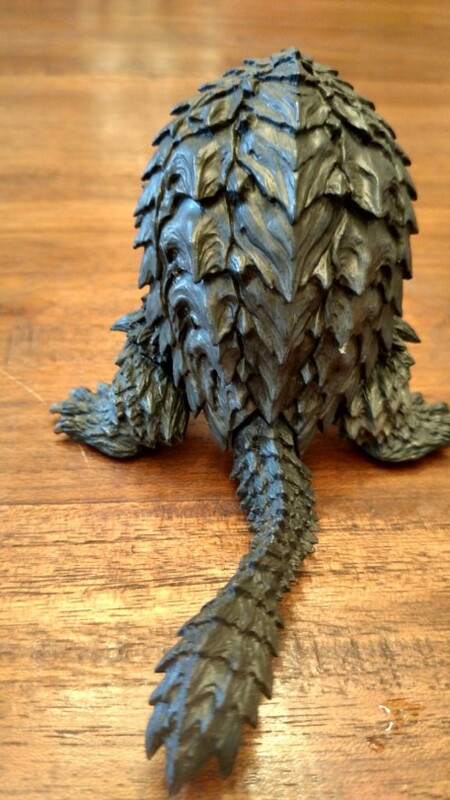 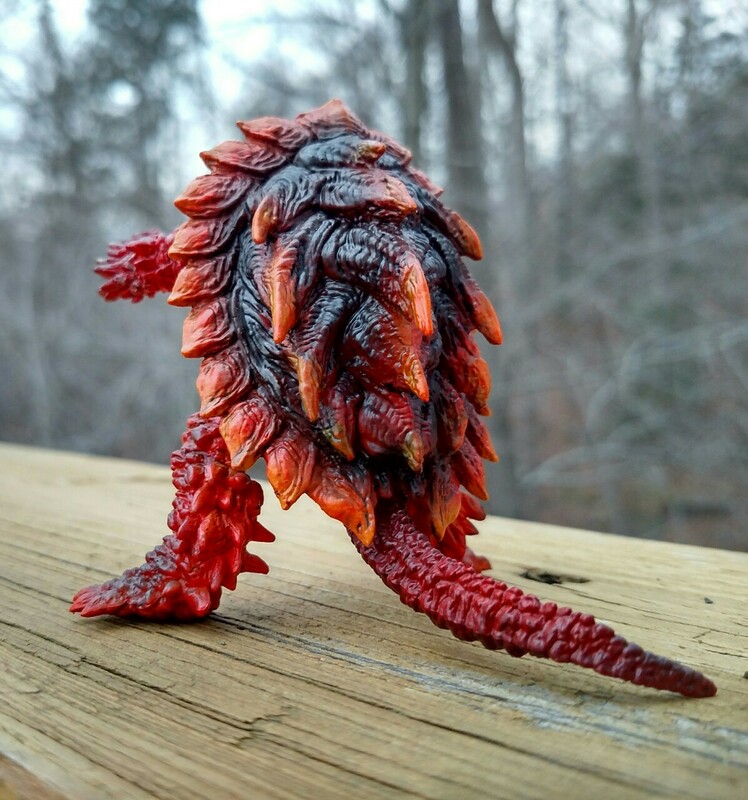 Another view of the Sega Gamera, the KaijuZoo exclusive Series 2. 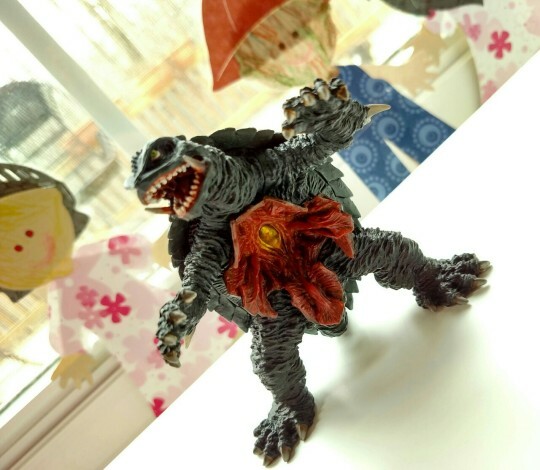 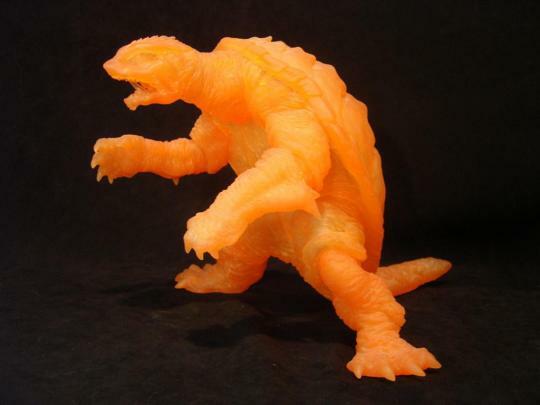 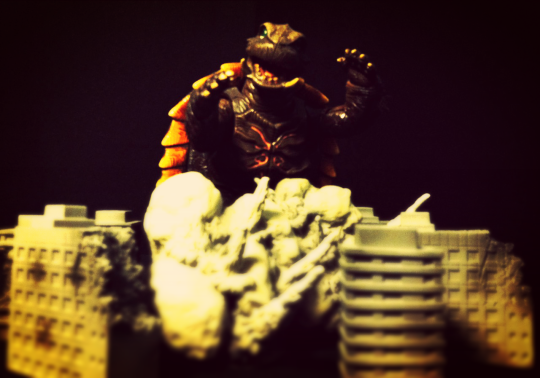 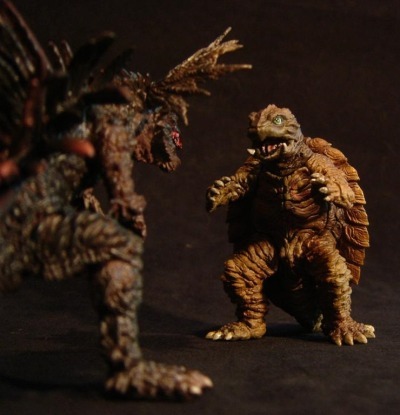 Sticking my Sunguts Factory Trauma a.k.a Nightmare Gamera in this thread. 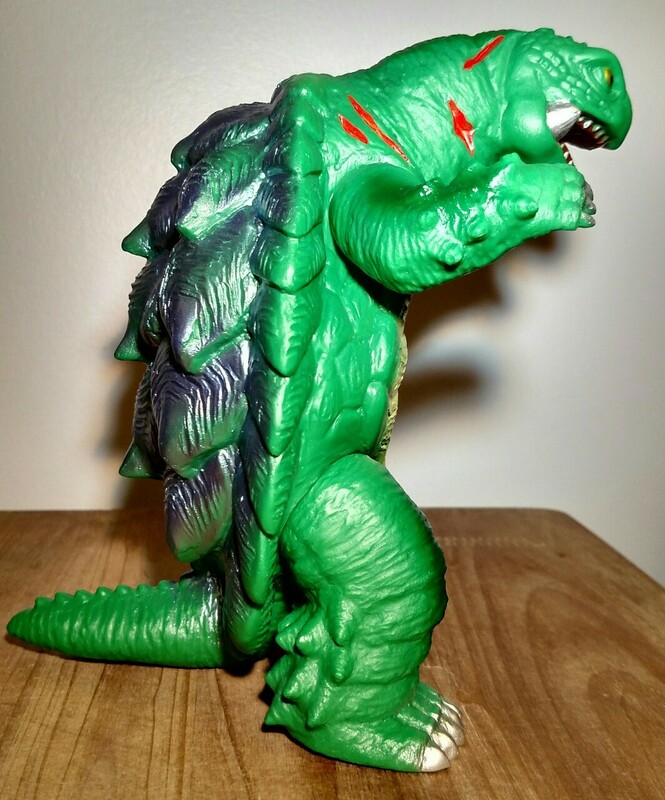 Would it be a sin if I repaint him? 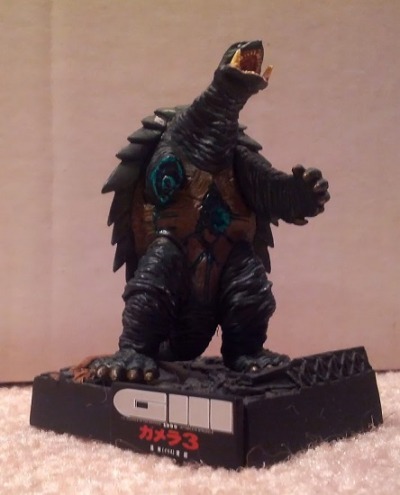 I've had this thing for years, but have no idea on the manufacturer or which Heisei film it is from (I always figured Gamera 2?). 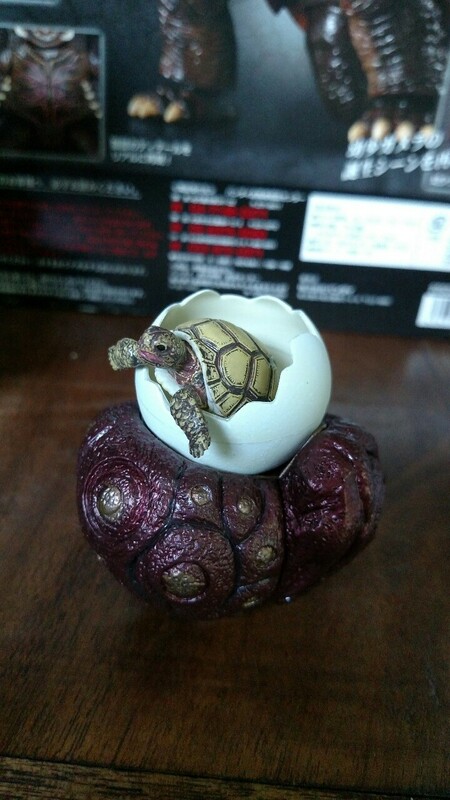 I think it might be from Yutaka. 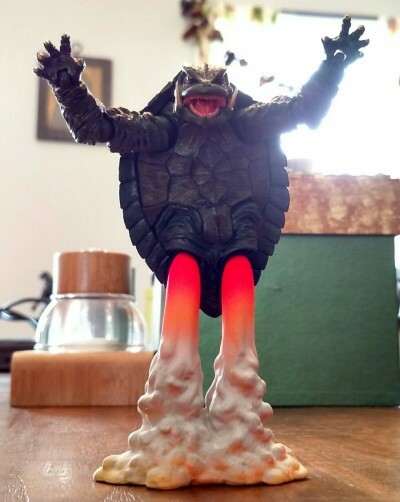 I also had a Rocket Pro figure of Gamera that came on a card like an action figure, and the arms and tail had to be attached.